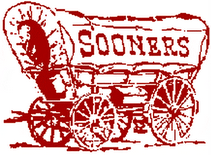 Oklahoma was rated number one in the BCS poll of December 7, 2008, and will play Florida for the National Title in Miami, FL, on January 8, 2009. This should be SOME game! Congratulations....I'm not a college football fan...but if I were, it would be AUBURN.. Thanks Phil! I appreciate your comment! Rick...unlike you...I don't appreciate Phil's comment...what does someone in Chicago really know about football anyway! I read that Florida has played 1,053 games in it's team's history, Oklahoma has played 1,140. However the two teams have never played each other. Kinda cool that the first match up between these two will determine the national championship! I had NO IDEA that we have never played each other! You are right; this game is cool!!! Steve H, a little sour grapes, perhaps?